Adobe Premiere Pro has a lot of special effects that you can use in your videos, we’re going to cover just the basics – the things that you would find in just about any video editing software. 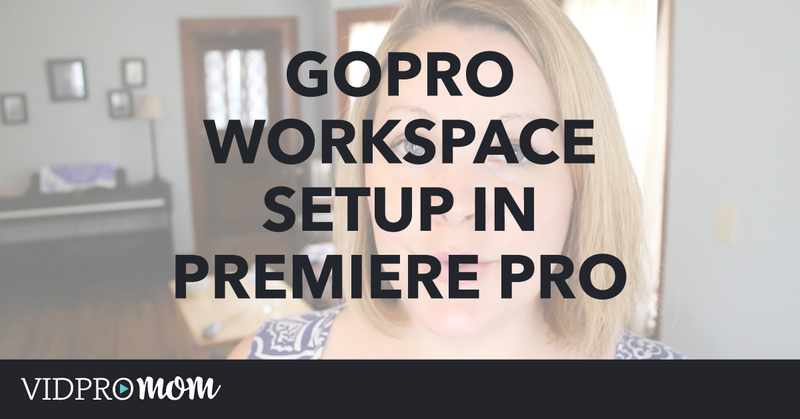 They are the things that you kinda have to know how to use if you’re going to edit your GoPro videos in Premiere Pro. I’m using the latest version of Premiere Pro (released June 2016) and it’s version 2015.3. Always make sure your software is up to date! I have my workspace customized for how I like to use it, so if you open up Premiere Pro your boxes and timeline and preview window might be in different places, and that’s fine. You can move them around! Don’t freak out! I like to have my preview window right in the middle of the screen and my effects on the right-hand side. Speaking of effects controls, these are your basic effects that you’ll have with any video that you start in Premiere Pro. There is a whole long list of effects that you can add to your video but today we’re going to just talk about the basic controls. 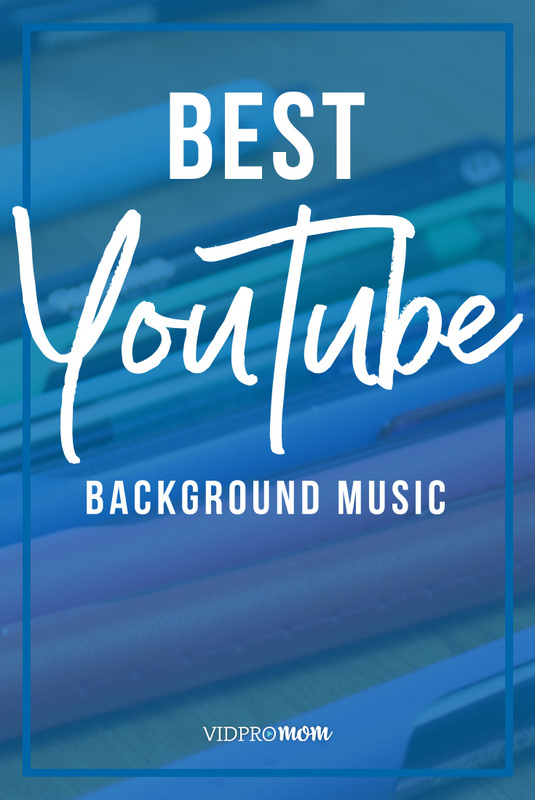 These are similar to what you would find GoPro Studio or iMovie or any other kind of basic video editing software. It’s just that they’re always in a different spot and they use different verbiage. The first thing to take a look at is under the “Motion” menu. You might use “Scale” a lot. It’s like a zoom-in or a crop-in, and you might do this a lot if you shoot video at a high resolution, but edit it down to 1080. To change the scale by zooming in, you can increase the default percentage (100) by typing in a new number. 120 for example. You will also notice if you hover over the number, you’ll get little left and right arrows. If you click and hold on the number, and drag your mouse left or right, you can decrease or increase the number as if there was an invisible slider there. Right above “Scale” is “Position“. So this is the position of the video within your frame. So if you’re scaled up to 128%, you could reposition. You can drag your video to the left or right. Basically, you’re moving your X and Y axises here. Think back to 9th-grade math! You can move left and right like the X axis, or up and down like the Y axis. Also, as long as you have the word “Motion” selected in the effects menu (or double-click on your video) you can click and drag your video around or scale it. I like to just do that with the numbers in the effects panel. There are some things in the effects controls that I never touch… one of them is “Scale Width” because then it’s totally out of wack. I almost never use “Rotation” but you can use if you need to. If I did use it, it would be to straighten a crooked line “Anchor Point” changes where your rotations rotate around. I don’t use this effect at all. I don’t do anything with the “Anti Flicker Filter” (I don’t even know what the does)! or “Opacity“. “Volume” is once that you’ll probably want to adjust. You can bring your volume of the audio in your clips up or down. You can select your video, hit play, and adjust your volume as it’s playing to see what level will be right for you. If you have Premiere Pro open while you’re watching this video, you will notice that some of the effects have a little blue stopwatch symbol. Some of the effects have that turned on by default, like Volume, but some don’t. When it’s blue like that, what that means if that when you adjust the effect, a keyframe will be added. What a keyframe does is, let’s say you want to start your video off quiet and then increase volume throughout, and then get quiet at the end again, then you would need to have 3 keyframes in your video. We’ll talk about keyframes probably in a future video, it’s a little bit more advanced. So in the video you can see how we’re starting off at a low volume, and as it goes along the timeline, the volume increases. So the reason why I showed you enough just to confuse you, is because if by chance you adjust the volume and then you adjust it again at another part of your clip, then you’re going to have this weird keyframe thing happen and may not even realize it. So… if you’re going to adjust the volume of your entire clip, just make sure that you have the little blue stopwatch symbol deselected. Now let’s talk about how to get rid of the lens distortion, or fisheye effect, right here within Premiere Pro. Open up the Presets folder in the effects panel, and go to Lens Distortion Removal, and then select GoPro and find your camera model. 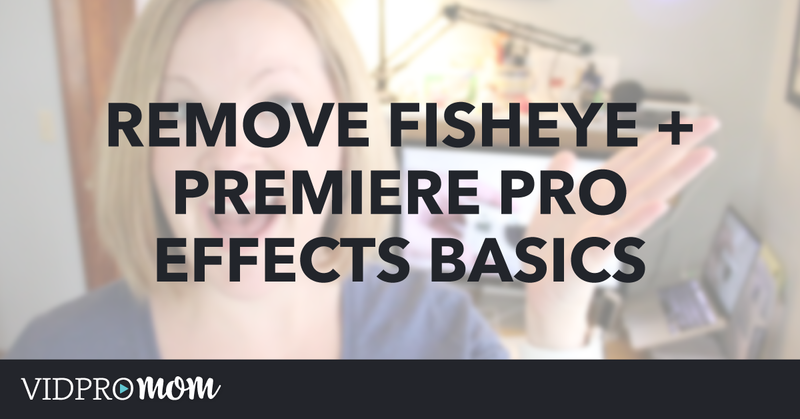 Premiere Pro has conveniently provided you with some presets to remove your fish eye. You’re going to have to know the settings of your clip in order to select the right preset. Apply the preset to your clip by dragging it down, and then render your selection. This takes a few minutes! My advice to make sure you really do need to remove fisheye because there is no point in spending the time rendering your clips if you don’t REALLY need fish eye removed. 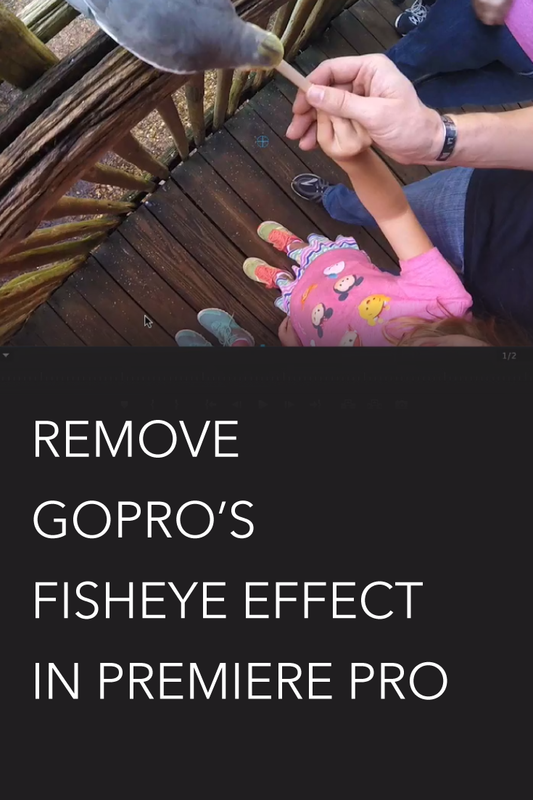 For most videos, I think the fisheye effects adds a little extra fun and adventure. It would be a good idea to edit your video completely – trimming and splitting and rearranging your clips FIRST and then go back and apply the lens correction preset once you’re done with that. 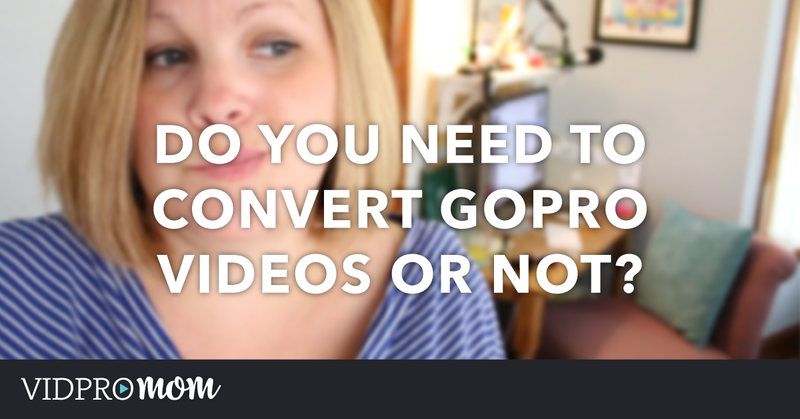 Previous Post: « Convert GoPro Videos for Premiere Pro – Is It Necessary?